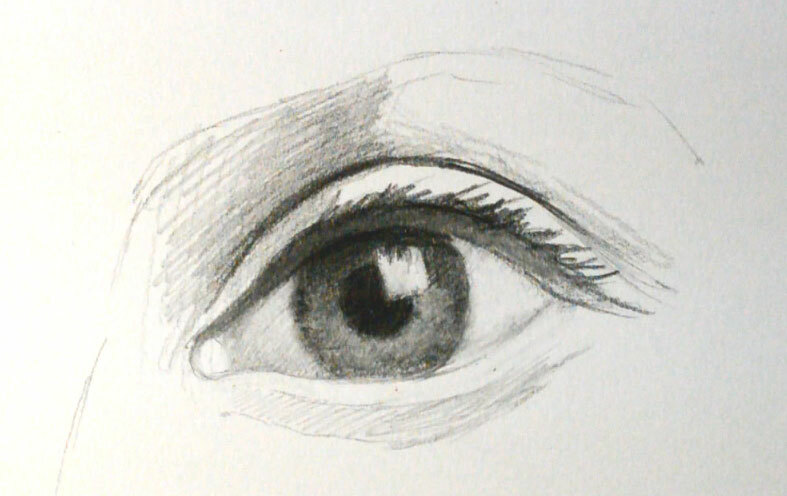 If you want to take part in the workshop "How to draw a human eye", please subscribe down here. The workshop lasts for 5 days and costs $10. 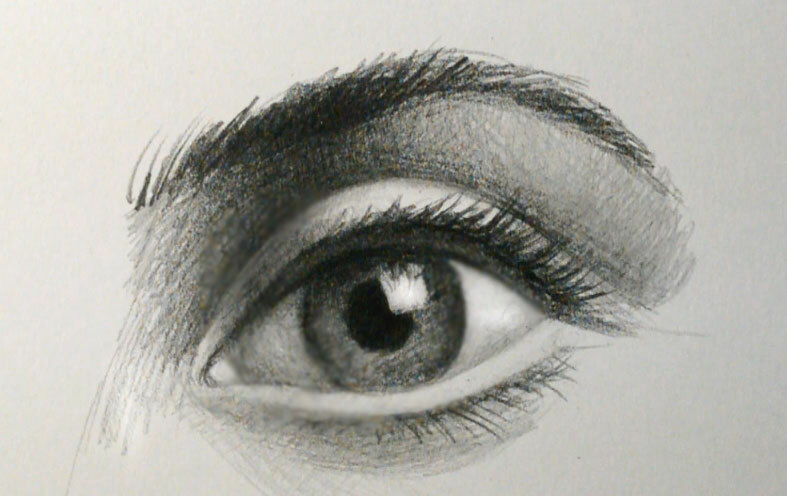 During this period I will teach you how to draw an eye with a pencil on paper. As you are many and I am only one I will send one same email to you every day during 5 days. In my emails I will give you instructions and step by step recommendations which you should follow. I will explain the anatomy basics: you will learn what sclera is and which colours has iris, what the basic shape an eye has and why the eyelids have a spherical form. I would like to receive the photos of your works every single day and give critique on them. In my answers I will send out the photos of your works with my corrections and explanations and tell you how to avoid mistakes in the next step. My free video tutorial might be helpful for you too, as my main goal is sharing my knowledges with beginners I would be happy to answer the questions you might have. Do not hesitate to ask me for better explanations if you feel you misunderstand any part. As I told in the beginning it is very important for artists to be able to draw eyes. And if you want to learn how to draw them well you should first of all understand how they are made - I am talking about its structure and anatomy. Teaching artists and doing workshops I figured out that most beginners do not know exactly what they draw and therefore make many mistakes and make eyes look not realistic and not so attractive as they actually are. You know what I mean. If you look at any favourite artist of yours from the past you will notice how well done and carefully finished the eyes were. The masters always knew that it is the most important part on any face and therefore spent a lot time, skills and energy to make them look realistic and reflecting the person's character. 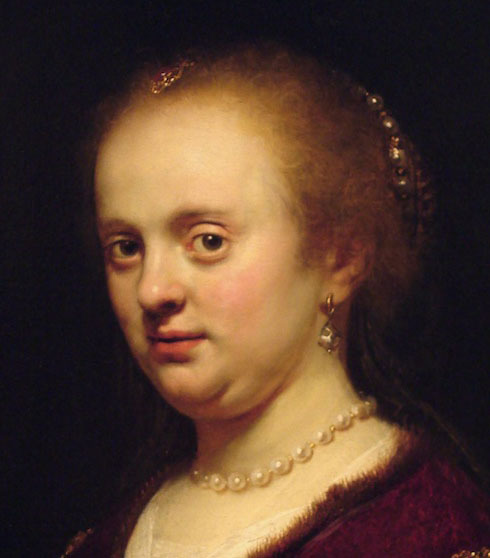 Rembrandt, Rubens, Sargent - all of them very perfect in portrait painting. WHICH ART SUPPLIES DO WE NEED? As this is a drawing workshop we need a piece of paper, pencil and eraser. I recommend not a big sheet but a half of A4 size or A4. The special drawing paper is better, it does not have to be pricey. You can use also any drawing material you prefer: charcoal, sepia, sanguina, graphite, acrylics and etc. Step 1. Start the drawing very light, with a few lines draw a sketch to find a good composition on the paper. Outline the eyelids, iris, pupil and the eyebrow. Remember not to press too hard otherwise you will not be able to erase the lines if you make any mistake. Use a B pencil on this stage. When drawing the eye always remember about the spherical shape of the eye and its volume. The eyelids have spherical forms too as they lie on the sphere. Step 2. Start shading the iris, pupil and the sclera. Remember that the sclera is not actually entirely white because the eyeball is basically a sphere and therefore volumetric. Put multiple layers of graphite - it will make the pupil automatically darker. Leave a light spot as a highlight on the cornea. Please, remember that the down plane of the upper eye lid is in the shadow and therefore darker than the upper plane of the lower eyelid which is lighter. Step 3. Add the eye lashes. The upper eye lashes curve upward while the lower lashes curve downward. I recommend to draw the eye lashes as a single dark spot but not as individual hairs. ​ Here we are going to draw the tear duct. Give it depth with darker areas and some highlight to give it a wet look. Step 4. Draw an eyebrow above the eye. Eyebrows range in value from very light to almost black and can be narrow and thin or big and bushy. They can be arched, straight, or even wavy. Eyebrows follow the shapes of the brow ridge and seem to change shape when the head is viewed from different angles. 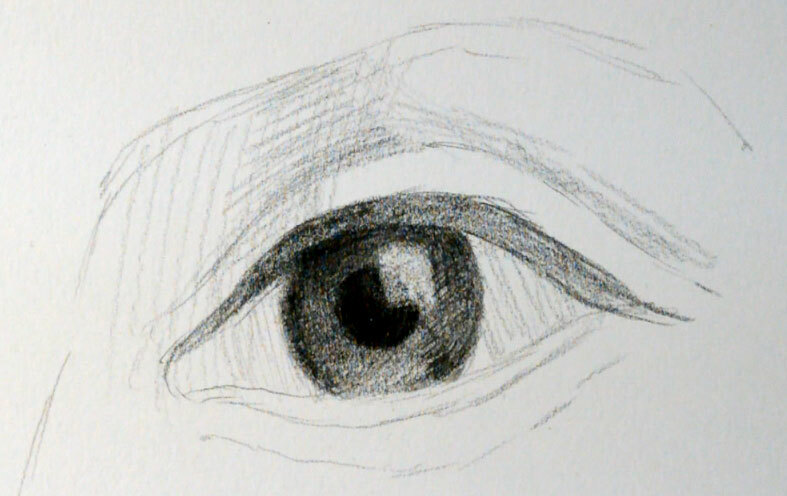 Add shadings to the rest of the eye. Step 5. Make sure the eye looks volumetric and clean up the highlights. At the end use a B pencil to make the final strokes and darken some areas where you think it is necessary. If you want to take part in the workshop, please subscribe here. The workshop lasts for 5 days and includes my evereday emails with instructions & explanations. I will send the photos we are using in the workshop in my first email. The price is $10. As we are all from different countries and have different time zones - it is easier for me to write to you in the evening at 9 pm Msk (UTC+3). I will send you my instructions to the email you provide via Paypal. WHEN DOES THE NEXT WORKSHOP START? I am planning to make 4 workshops a month. Every next workshop starts on every Monday and lasts for 5 days (Monday-Friday). If you missed the workshop you can always subscribe to the upcoming one. The subscribtion is opened from Monday to Sunday. You can always check the dates of the upcoming workshop on this page. Sergey Gusev. Copyright. All rights reserved 2015-2016.